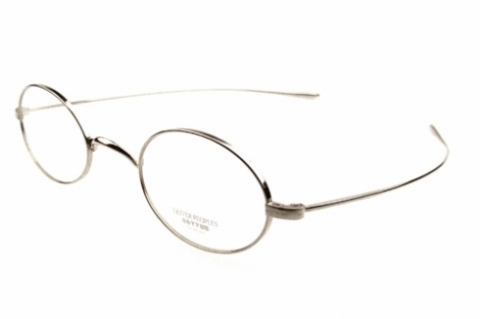 A few years ago there was a very popular metal frame from Oliver Peoples called Keats. Those who know, know. It had no nosepads, was simple, thin, elegant and smart. There was not really anything that could replace it’s simplicity. Until now. Gallagher is the “new” Keats. The keats were almost a kids size frames. They were a bit small on me and eventually cracked at the bridge joint. I also own OP-605 since 2001 and absolutely love them. They are the most comfortable frames I’ve ever worn. The new Gallaghers are the same size as my old OP-605. I can’t wait when they become available and hope that they are as well designed and manufactured as my OP-605. I agree about the keats, we had a few of them breaking as well. The Oliver Peoples Gallaghers are already avaliable and it feels like theyre studier than the keats frame but have the same simple timeless style. Maybe a good change after wearing the same frame for 10 years? My Keats frames also cracked at the edge of the bridge…after 8 years of daily wear. They were great. Nothing else I looked at (in 2003) came close, in terms of subtlety and attention to detail. I was shocked and saddened to find that they are no longer made, and have been searching around for a replacement. Not sure about the Gallagher, which I tried on recently, partially because the temples are so much less subtle. It seems like the OP Gallaway is a little more in keeping with the simplicity of the Keats (despite the nosepads). I wonder if the authors or the other commenter can speak to the durability of current OP frames – I was told at some point that they were bought or taken over some time in the last 5 or 6 years. 8 years is a long life for a pair of glasses that are used every single day! The Gallagher feels more sturdy to me, but time will tell. I like the temples though. I like that they’re super firm and the details. If you don’t like the nose pads on Gallagher, Barton Perreira has a very nice oval metal frame called Chaplin. You should check it out! OP was taken over by Luxottica eventually but all metal frames and some acetate frames are still made in Japan and have the same awesome quality. Anyhow, i got my OP Gallagher a few weeks ago and love everything about them. The details are incredible and the construction looks very solid. I actually like the curved temples, and I believe they did this for a reason. 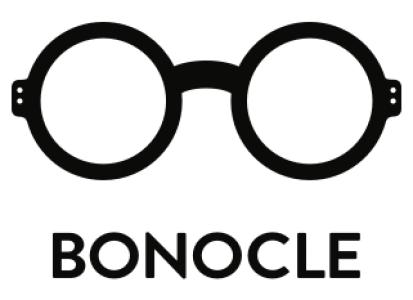 The temples are heavier at the ends and that creates a subtle counterbalance for the lenses. The glasses sit tightly on my head and I don’t notice any slippage. So far, so good. Jasmin, who else makes saddle bridge frames? Algha Savile Row also makes frames similar to this bridge! I’m still looking for a original Keats. even a cracked one would be welcome. I’d have it made. I’ll sell you my cracked Keats for a reasonable price. Send me your email, I’ll send you pics of the frame. Would be nice Oliver. Click Hoppercoffee and then choose contact. This ‘ll lead you straight to me. And now they’ve cancelled Gallagher 😦 What am I to do?